You're havin' a bubble me ol' China, I hear you cry. No, we're not causing a Barney moving BPA up the frog to the big smoke; London is coming to Norfolk! In 2019, BPA will be held in London, Norfolk. Prepare yourself for battling with the Underground, escaping from the Tower, seeing a play at the West End, solving a murder, visiting the Queen and anything else London has to offer in another twelve-hour, action-packed adventure. 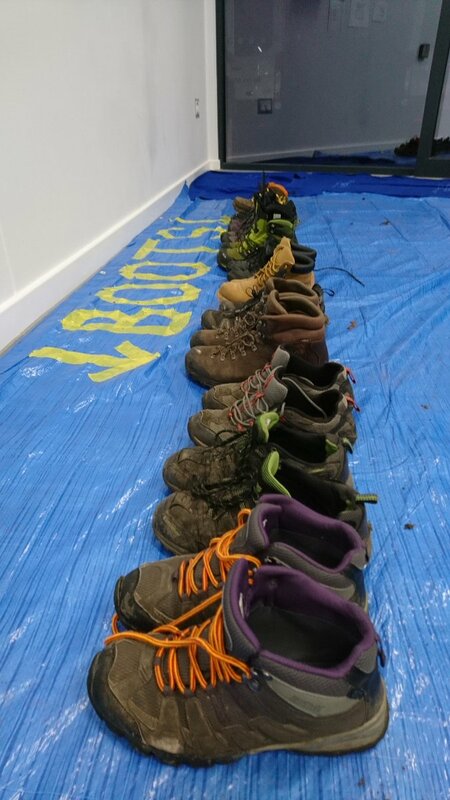 If you haven't been before, here are the brass tacks: BPA, which stands for Baden Powell Anniversary, is an overnight activity hike held every year to celebrate the birth of our founder. 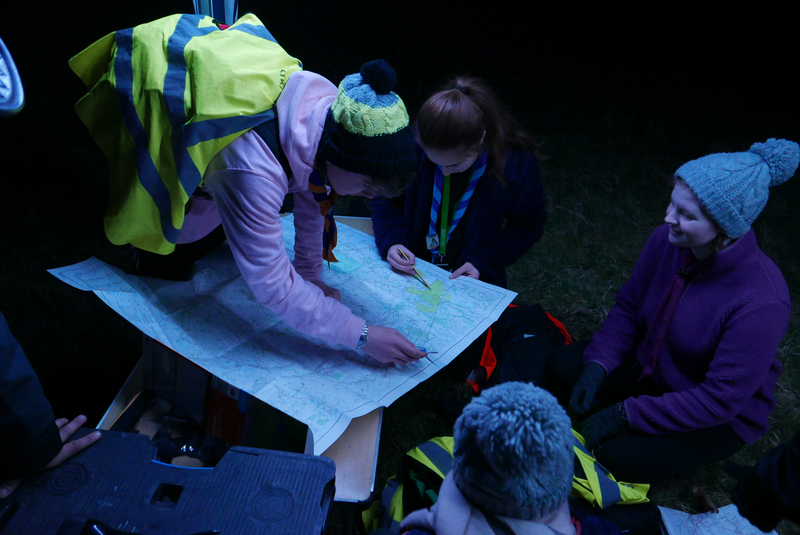 It's open to Explorer and Network teams from Norfolk, who must navigate the route to find zones and complete challenges. Points are awarded for finishing each section of the route, completing the challenges and for conduct and teamwork throughout. Have a butcher's at the rest of the website for information about how to get involved. 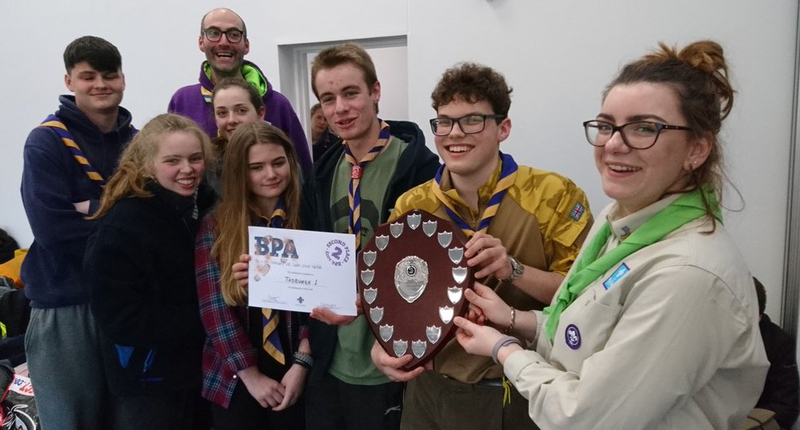 BPA 2019 will be held in Central Norfolk on 23rd and 24th February, so use your loaf; book a team, dust off those daisies and we'll see you there! The full participant information pack is available here. Booking for the next BPA has now closed. If you have already entered a team, you can log in here to view details and print permission forms. BPA is open to members of the Explorer and Network sections. Please note that each team must consist of between four and six participants. 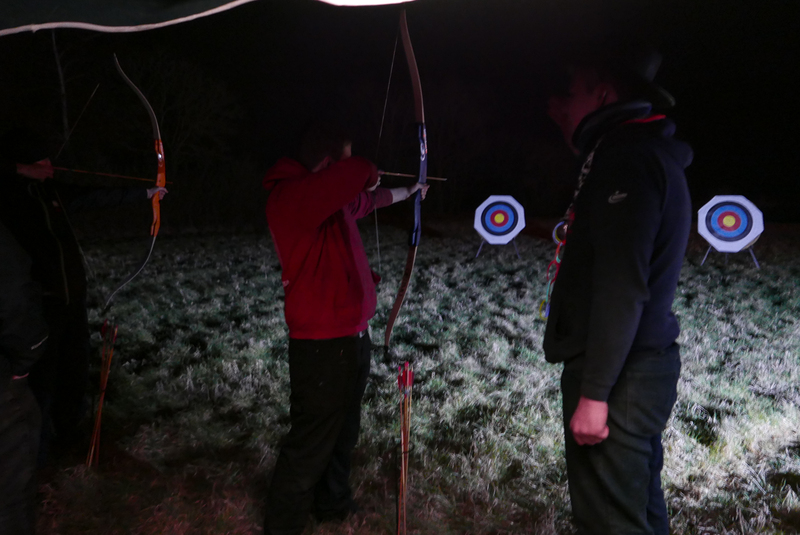 If you have any queries regarding booking, please contact us at booking@scoutsbpa.org.uk. To keep up-to-date with BPA, why don't you follow us on Twitter? Organising and running BPA is no mean feat and we'd love you to come and give us a hand. If you would like to be involved, please click on the button below and fill-in the registration form. 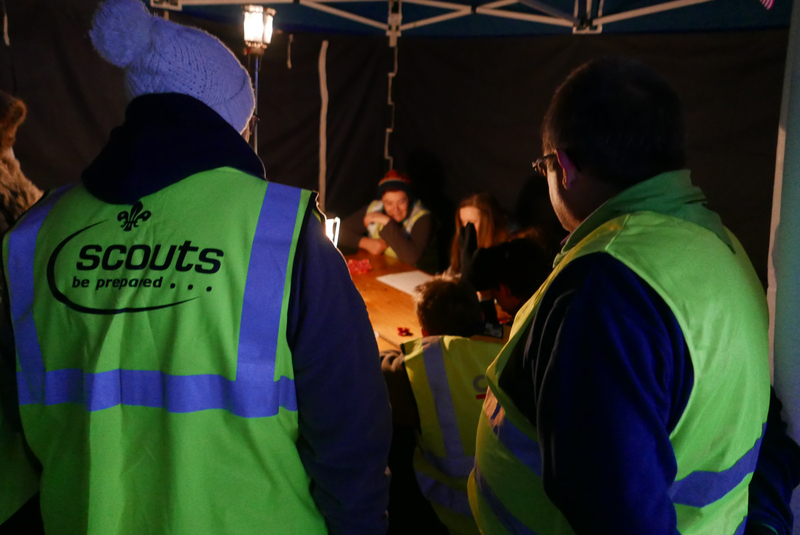 If you have any trouble with registration or just want to know what's involved, please contact us at admin@scoutsbpa.org.uk. Here's a selection of reports from previous years of BPA. If you haven't been before, have a look and see what you've been missing! It was international year this year. 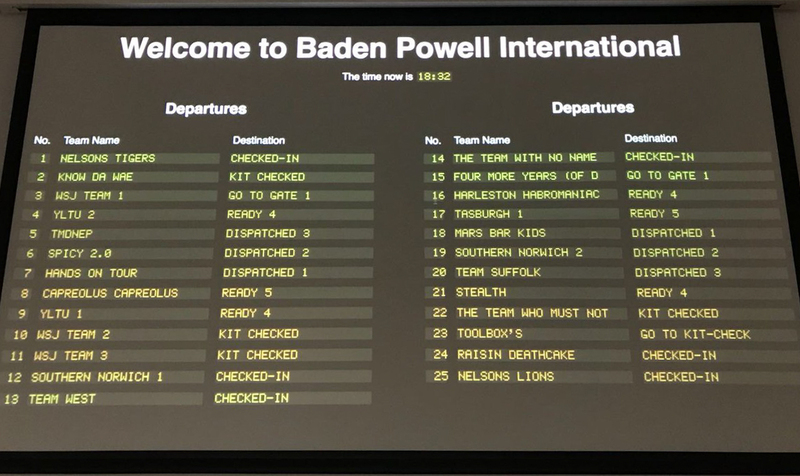 Our BPA teams jetted-off from Baden Powell International Airport to travel the globe in an action-packed, twelve-hour adventure. 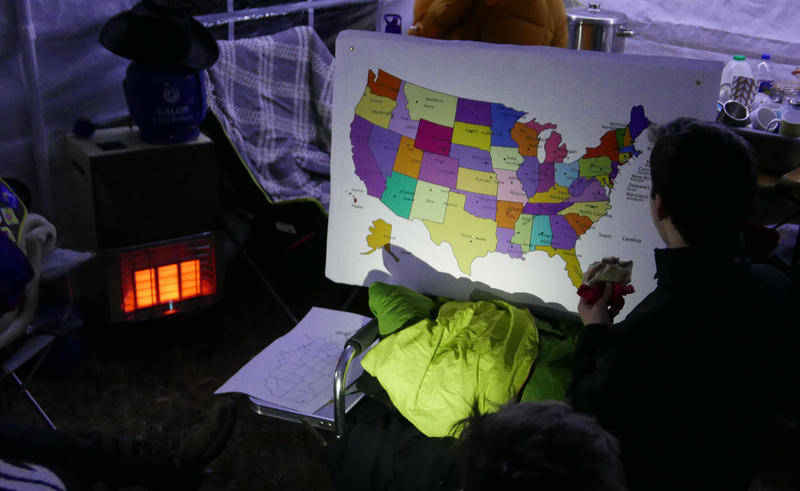 Along the route, teams visited Europe, Africa, Asia, Australasia, Antarctica and America; all while racing The Tour De France, having a go at archery, remembering all the states of the USA, searching for a lost trade agreement and many other brilliant challenges. Throughout the night, the sky was lit by flares and the ground shook as we were treated to a display by Her Majesty's Armed Forces as they practiced manoeuvres next-door; making BPA 2019 feel like we'd strayed into a war zone. Next time we consider an international trip we'll check the latest FCO travel advice. This year 25 teams competed in BPA; the most since 2014. Huge thanks to all of the teams for entering and to all of the nearly 90 staff that helped to bring the event to life; we couldn't do it without you. Hope to see you all for BPA 2019. 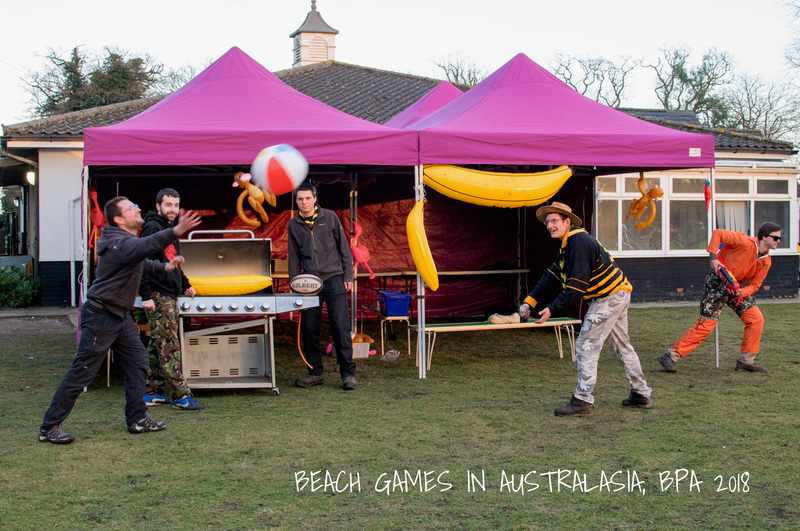 It was a return to the beautiful Sandringham Estate for BPA this year. By the time we arrived the Queen had already headed back up to London after spending Christmas in Norfolk, though apparently our presence had nothing to do with her decision to depart. We last visited the estate in 2010, which was the first year some of our organising team were involved so this year felt like a bit of a homecoming. 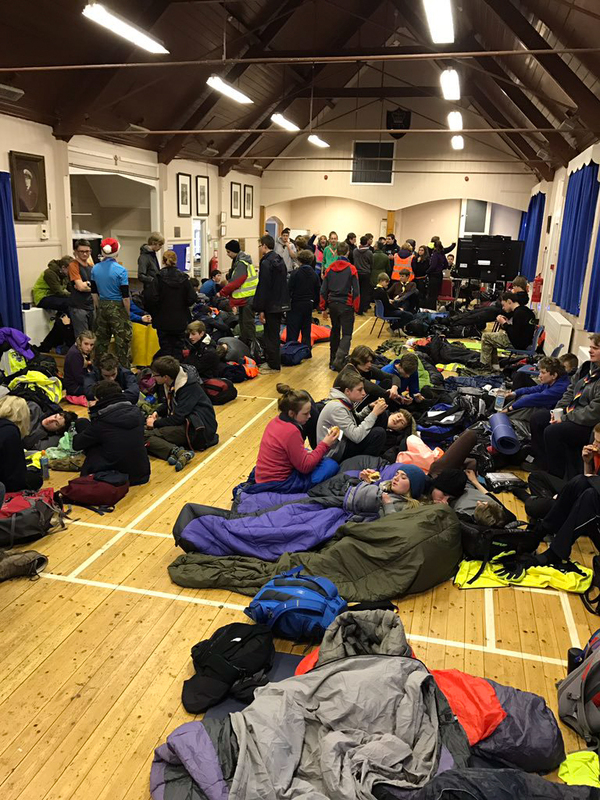 As usual, all was quiet in West Newton Village Hall until 17:00 when teams started to arrive. 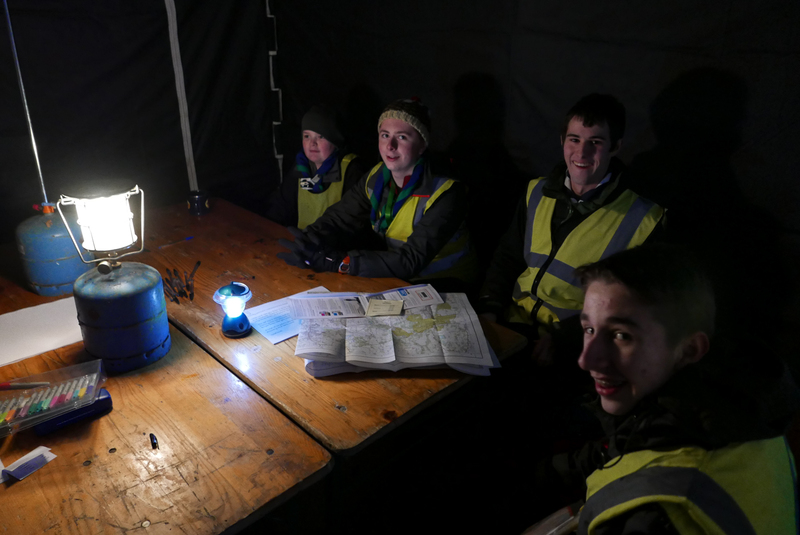 After a record-fast check-in, the 18 teams were out to the zones and ready to begin on schedule at 19:00. 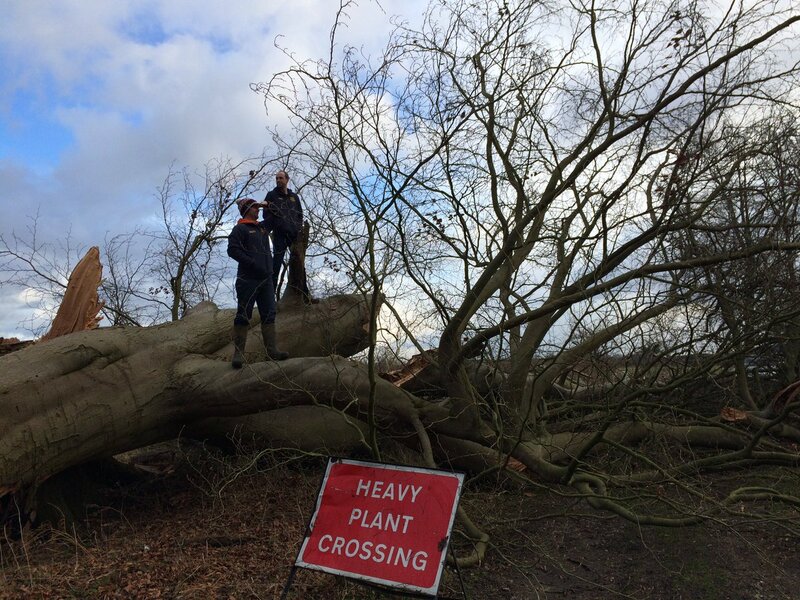 Zones this year were at West Newton, Wolferton, Snettisham and on the Sandringham Estate. 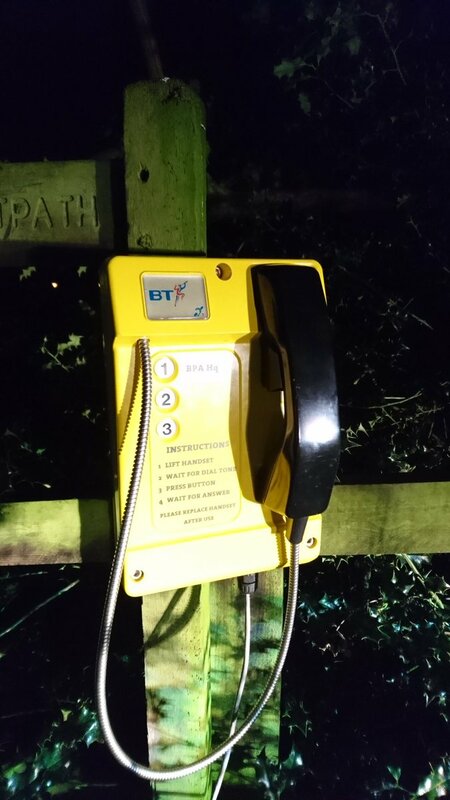 For the first time, the route was dotted with digital check points and a telephone, where teams had to ring HQ for directions. 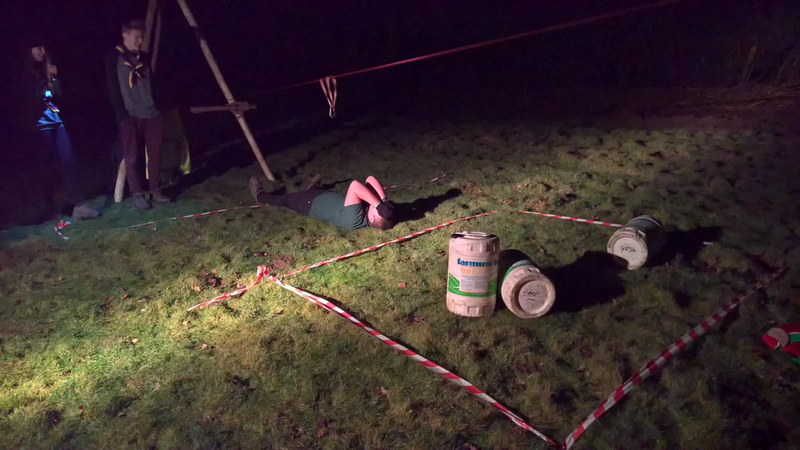 Despite these extra challenges, most teams found the Zones and after twelve hours, everyone was back at Headquarters for a bacon roll and some awards. Well done to Reginald’s Men for their victory this year, closely followed by Joint Effort in second place and Capreolus Capreolus in third. BPA would not be possible without the huge contribution our volunteers make every year. For planning the route, booking facilities, driving buses, putting on stunts, scoring, tracking teams, checking kit, cooking breakfast and everything else they do we are extremely grateful. A big thank you to all of our participants as well and we hope to see you again next year. 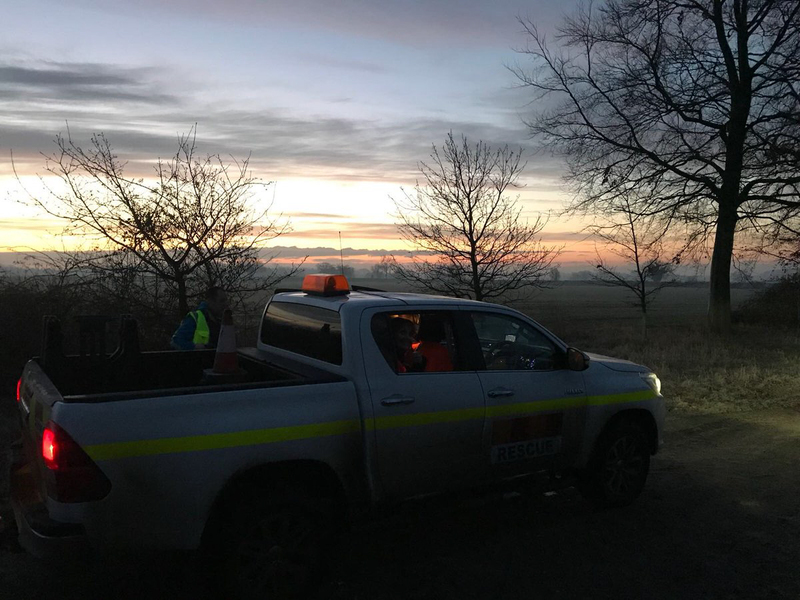 This year featured another new play area for BPA, and provided a route just over 30Km (19 miles) across the East Norfolk area. What a weekend we had! 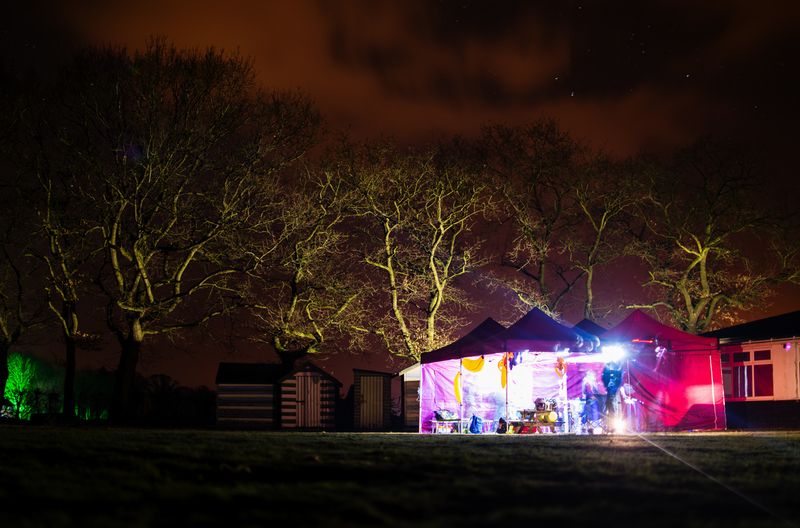 Filby Village Hall was set as main HQ for this year’s event and it was a great venue to have the use of. providing plenty of space and all the facilities we needed. 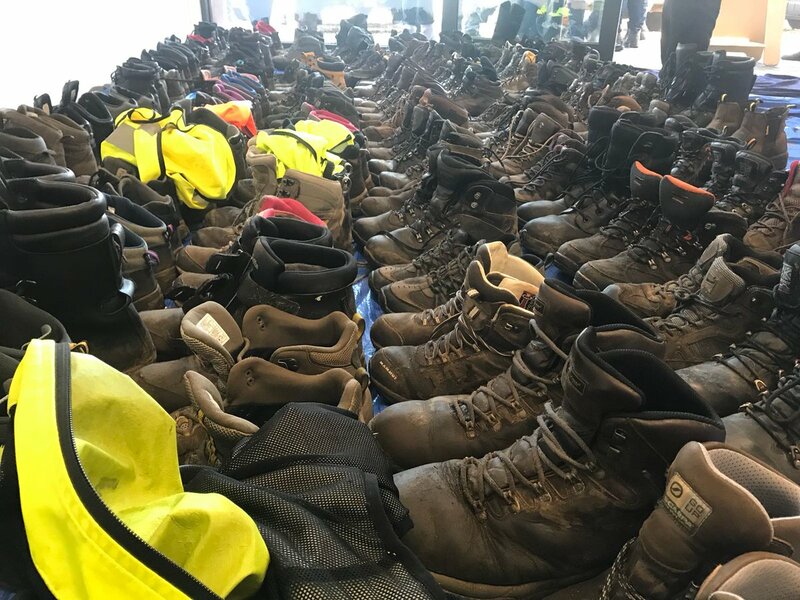 Thanks to our check-in and kit check staff, the whole pre-event safety checks were completed rather smoothly and in record time the 19 teams were almost ready to start the event. 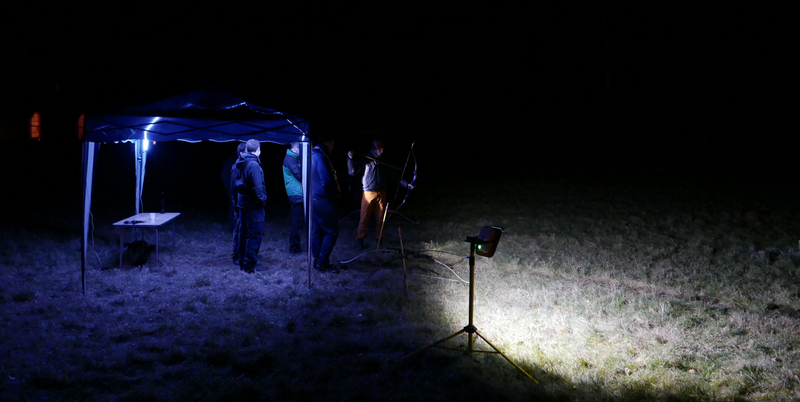 At 7pm the main event began and as teams started activities and walking the rain also started. 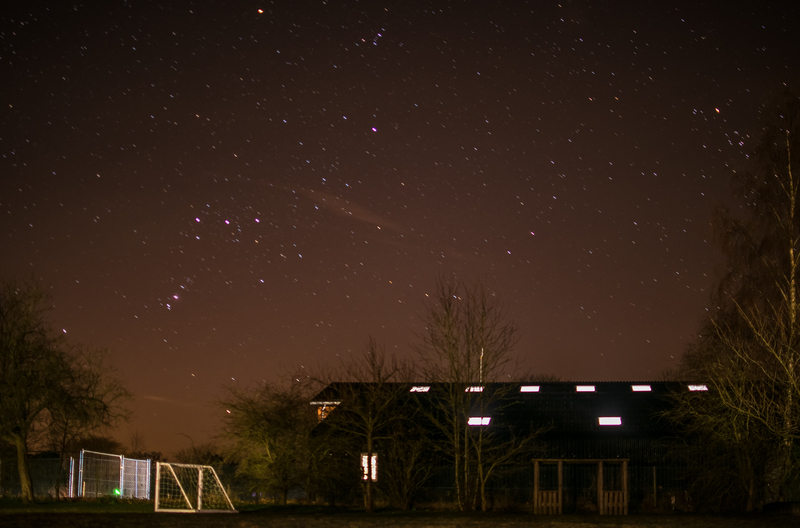 Thankfully it was a short, sharp shower but these were to make quite a few appearances during the night. 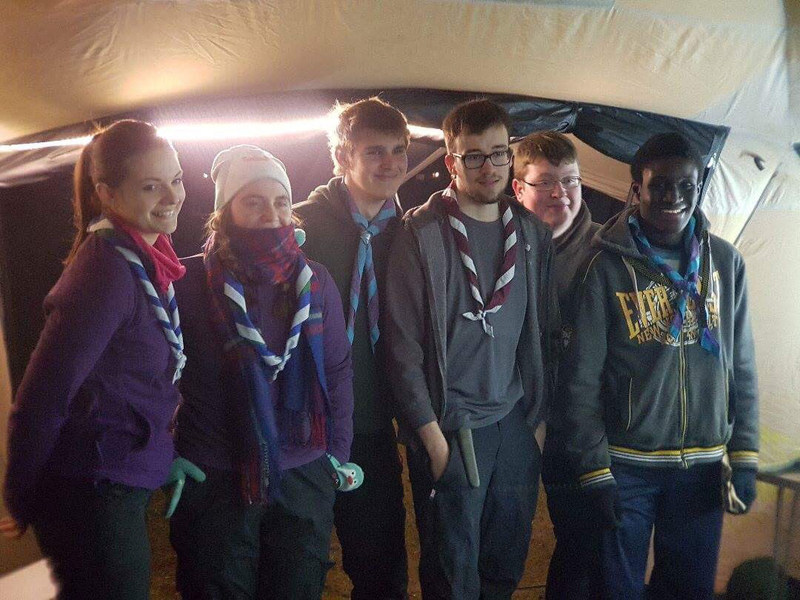 Good job our participants had all the kit they needed to keep warm, and the dry spells were much appreciated by all. 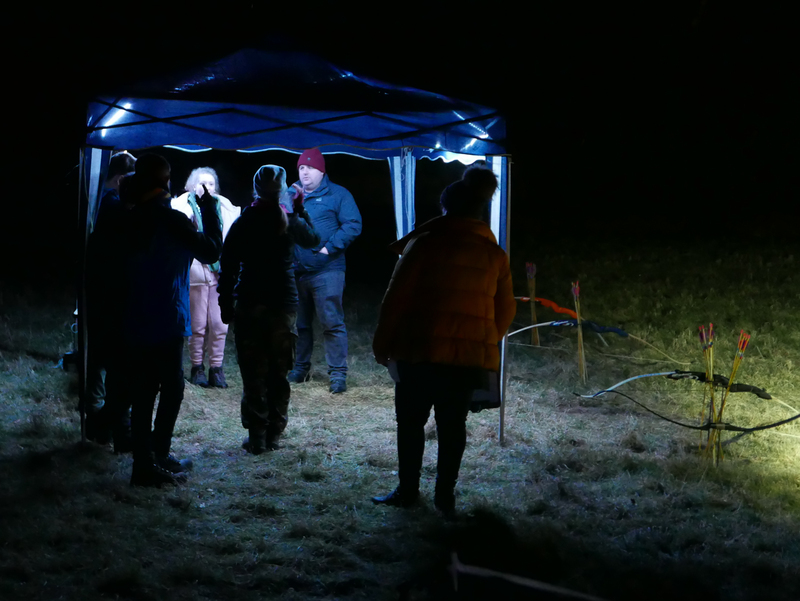 As the night progressed and the safety stewards met up with teams, most people seemed to be having a great time and enjoying the event, with just the odd grumble from staff and participants! Our staffed activity zones this year were at Mautby Church, Runham Church, Stokesby Church and Thrigby Hall Wildlife Gardens. Each activity challenged the teams in different ways as the participants attempted to gain the most points to win this year’s event. The morning saw teams start to arrive back at main HQ, and after a quick bite of breakfast, some thank yous and presentations, we were able to announce ‘The Arnolds’ as this year’s BPA champions! The whole event wouldn’t have been possible without our volunteer staff. We had people on check-in, kit-check, transport, zone activities, catering and safety. We also had a core admin and communications team keeping tabs on everything going on throughout the event. In all we had around 65 adults helping to make the event safe, fun and successful for everyone involved. To these staff we say a massive thank you (and perhaps see you again next year?). To the participants we say well done for taking part in this year’s event and braving the weather. Hopefully you had a good time and we hope to see some of you again next time. 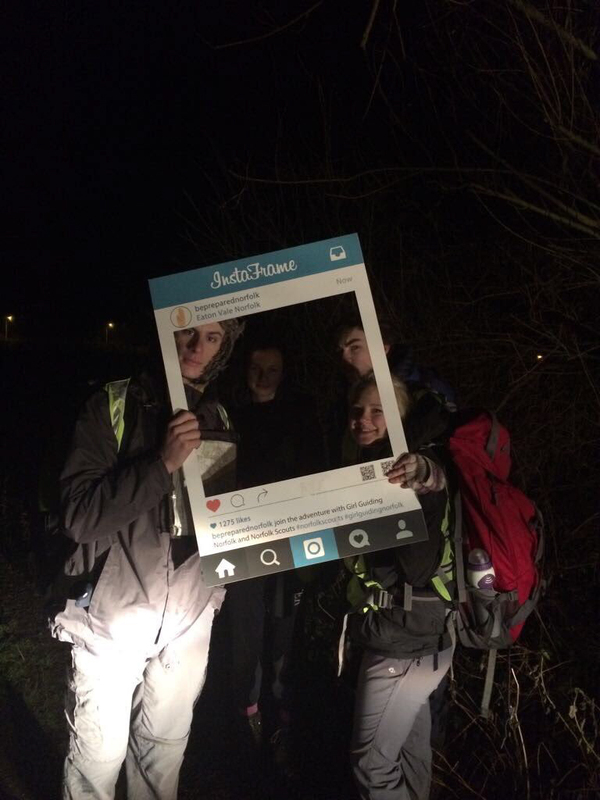 This year featured a new area for BPA, and provided a route of 30.5Km (19 miles) across the North Norfolk area. 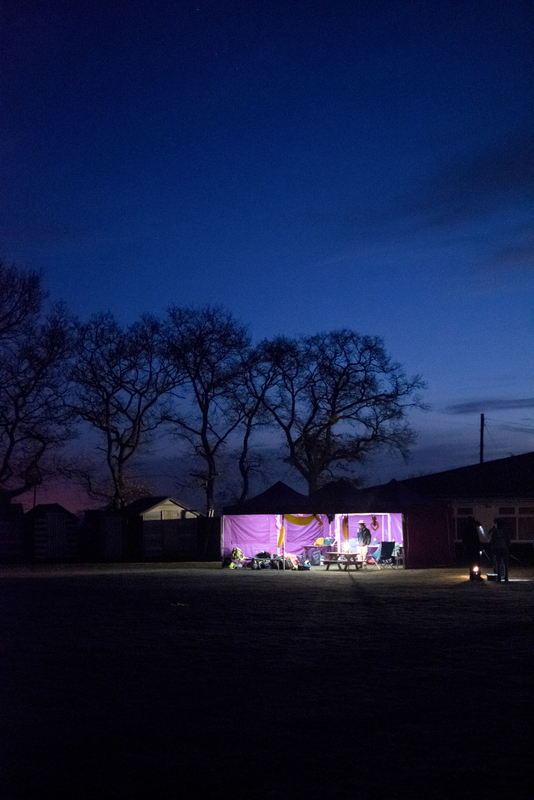 We once again had four activity zones around the course, starting at BPA HQ (courtesy of Mundesley Scouts) running to Witton Bridge, over to the Mike Thurston Water Activities Centre at North Walsham, across to Southrepps before making its way back to Mundesley. 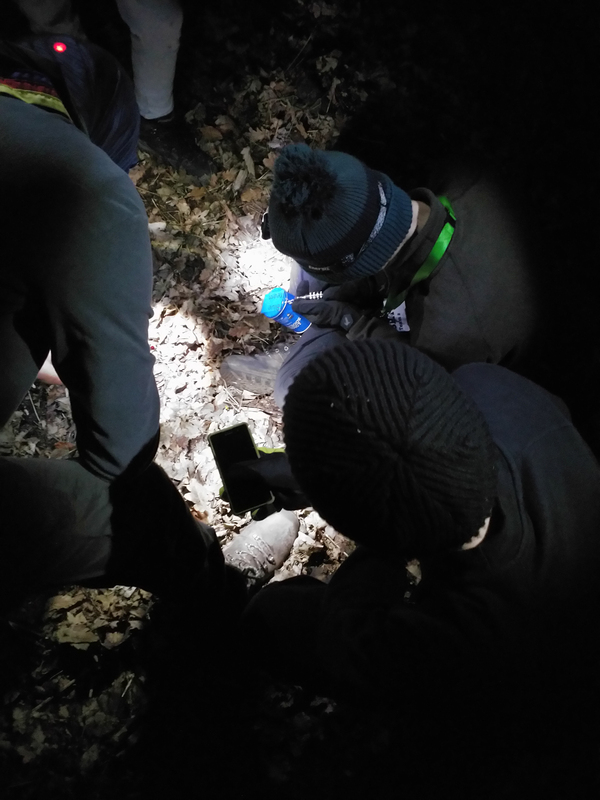 There were 20 teams, consisting of 99 Explorers and Network Scouts, participating in the event and braving the freezing temperatures that the cold February night had to offer. The event would not have been possible without the 70 adult volunteers helping with registration, kit check, activities, catering, transport and event management. To all these people we say a huge thank you, and hopefully see you again for BPA 2016. So BPA is over for another year, and what a year it was! 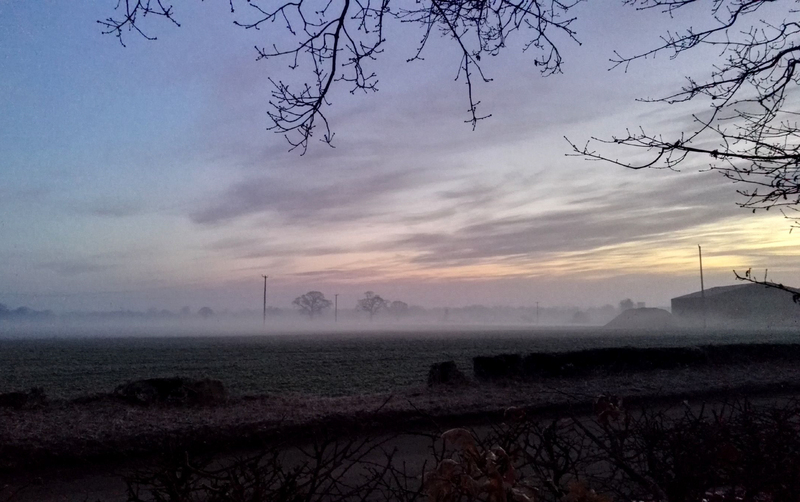 Cold winds blew, freezing our 25 teams as they hurried around the countryside of Southern Norwich. Congratulations go to The Arnolds, who seized a home victory this year for Southern Norwich. 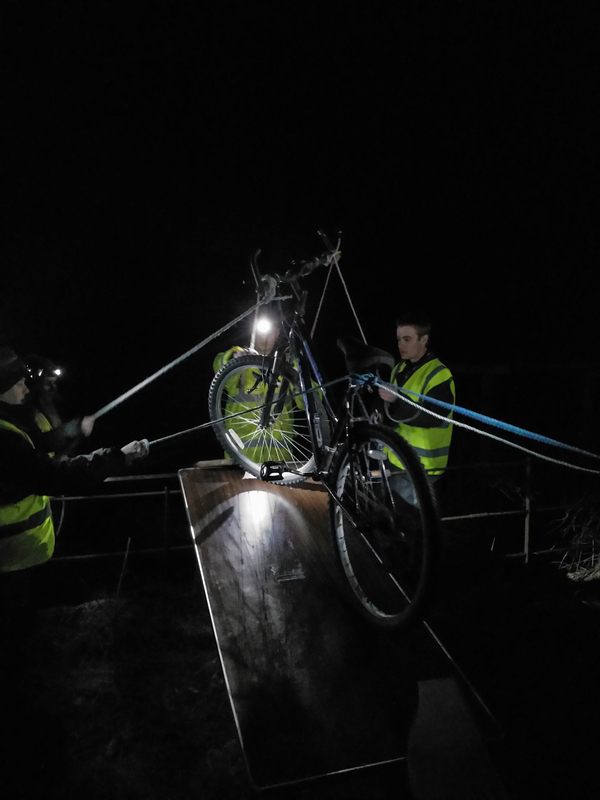 The route, which covered 22 miles (36 kilometres), began at BPA HQ in Cringleford, wended its way to Swardeston and reached the first zone at Mulbarton. 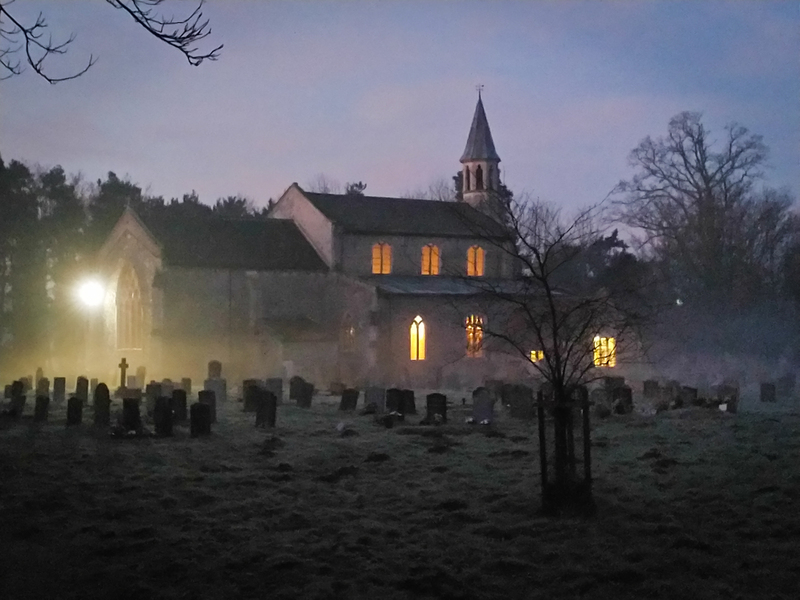 From there, teams crossed the A140 at a manned checkpoint (complete with hot water and signal fires) before arriving at the second zone by Shotesham Church. From there, the long back section brought teams to 1st Norwich HQ in Old Lakenham. Finally, a short hop back at Cringleford finished the route in time for breakfast. The longer than normal route meant that this was the first year for a long time that no team completed the event. Despite this however, competition was fierce. After a gruelling twelve hours, The Arnolds (Skavenger, Southern Norwich) emerged as victors over the rest of the field with Vermin (Vermin, Southern Norwich) in second place and Team Carlos (Scorpions, Southern Norwich) in third. As always, a wide range of challenges faced our competitors. 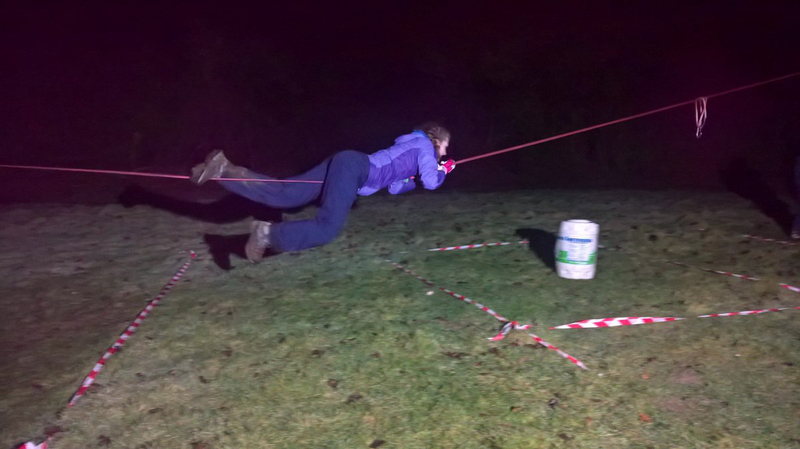 Among the favourites were Doughnut Making, Tripod Building, Human Piano, Emergency Rescue and Video Kim's Game. In all, a fantastic competition. Very many thanks go to the organising team for their hard work, all of the event staff for giving-up a night of precious sleep, the breakfast team for their early start, our hosts Southern Norwich District, the people of Southern Norwich for their tolerance and all of the participants, without whom we would not have an event. We can't wait for BPA|2015! Another cold and windy night for BPA this year. From Reepham, the route followed Marriott's Way, past Whitwell Hall and Lenwade, before turning North through Alderford Common on the home stretch. Congratulations to Nelson's Victory, who triumphed this year over a field of 20 teams. Second place went to Jumping Jalapeño Jack Rabbits with Jik's Allstars in third. Many thanks to all involved in the event this year. See you again next February for BPA|2014. Nice weather for once this year, if a little windy. 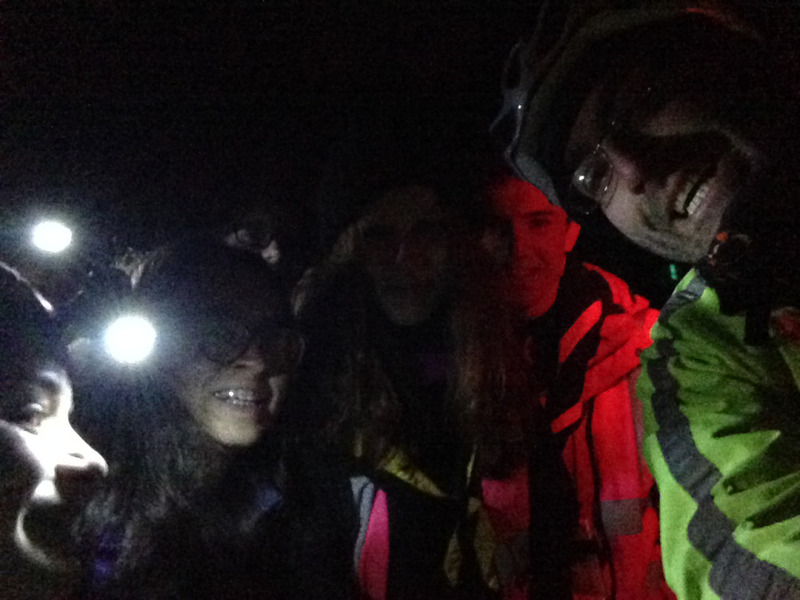 We were kindly hosted by the Holkham Estate, with the majority of the route within the grounds. 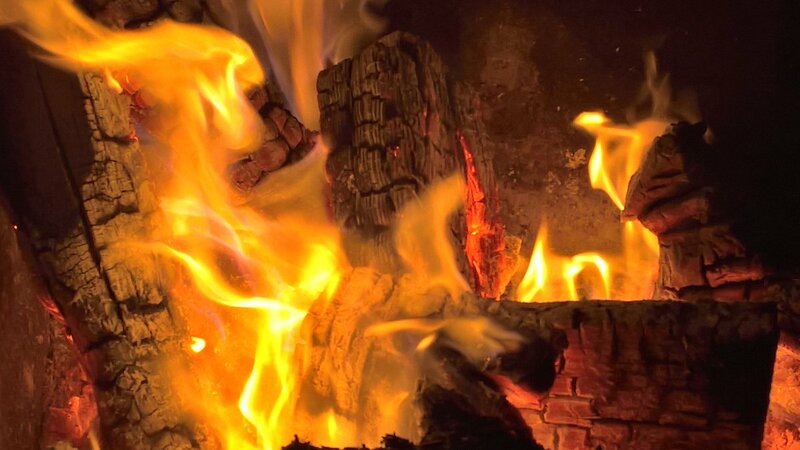 Activities this year included Backwoods Cooking, The Fox / Chicken / Grain Problem, Blind Trail and Fire Lighting. Congratulations go to Asleep In The Corner, who won this year's event. Second place went to S.A.M.E But Different with Icarus-Hotie in third place. Many thanks to all involved in the event this year, especially the folks at the Holkham Estate. Hope to see you again in February for BPA|2013. This year's event was held in Thetford forest. The weather was good for the time of year. The teams enjoyed a pleasant evening of activities. Congratulations go to Aqua Centurions who won the competition. Tutti-Fruitti came in second, followed by Vermin 2 in third place. Thanks to all those involved with the running of the event. We hope to see you next year. Emergency contact information will be available on this page during the event. 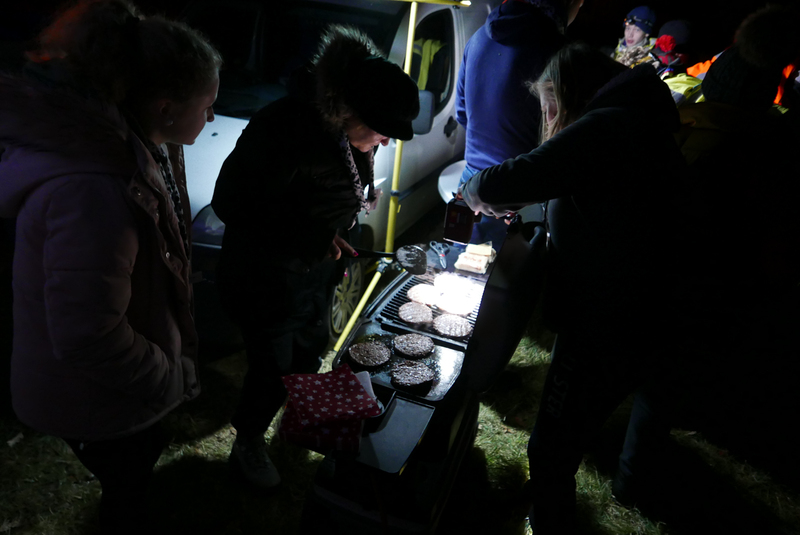 If you would like to enter a team for the next event and are unable to use the online system, or for queries relating to existing bookings, please email the Booking Team at booking@scoutsbpa.org.uk. 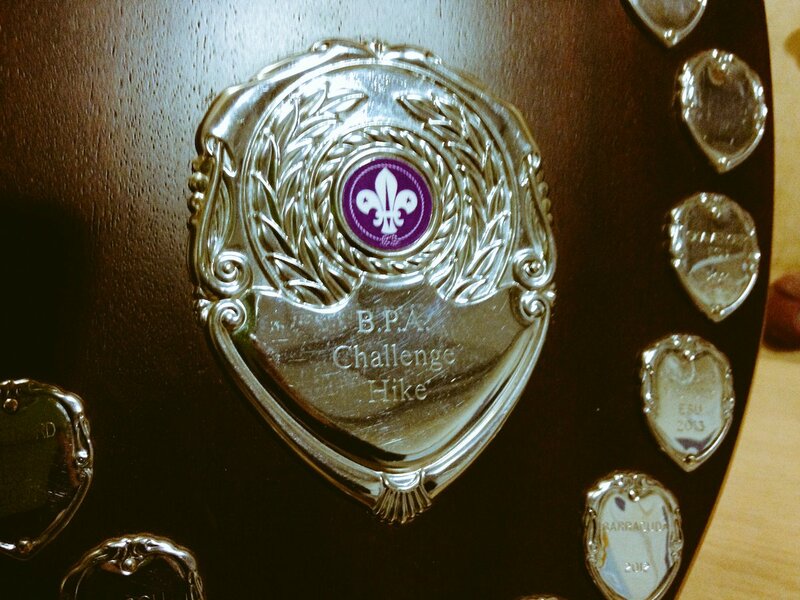 For any other queries you have about BPA, please send us an email to admin@scoutsbpa.org.uk. 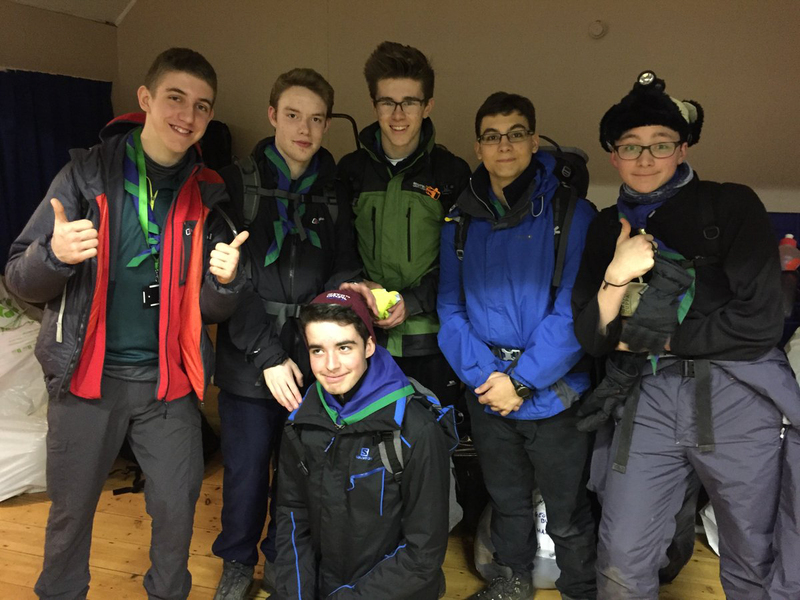 BPA is an overnight activity hike for members of the Explorer and Network sections of Norfolk Scouts. For more information regarding the event or this website, please contact us.